Knowledge Management (KM) is a hot topic in many business communities. The phrase "Knowledge Management" may sound simplistic and straightforward but there are plenty of opinions on what KM is, what it does and how it should be implemented, if at all. Because the rate of business development is increasing effective management of organizations is becoming essential for competitive advantage. If properly applied, KM may become a useful tool for business transformation and even the key to competitive advantage. Ukrainian business communities have been experiencing dramatic change since the dissolution of the Soviet Union and the introduction of market economy principles. Interest in adopting new and Western concepts to facilitate entrance into the international business arena explains the growing readiness of Ukrainian managers to work with innovative concepts and practices. This article is the first in a series addressing KM issues and will introduce basic definitions and concepts. We initially thought that this would be an easy article to write as it seemed that we all knew what we were talking about when discussing KM. However, recent weeks have raised doubts about this assumption. During this time we were repeatedly asked to define KM. This wouldn't be all that unusual since KM is a relatively new discipline except that most of those asking the question were academics and professionals already somewhat familiar with the KM literature. Later, an expert opinion in the Business Intelligence Journal convinced us of the need to discuss the issue. Journal editors asked three experts (Corral, Griffin and Jennex, 2005) about integrating KM and data warehouses and all had different definitions for KM. One expert described the purpose of KM as disseminating knowledge quickly and KM systems as essentially document management systems. Another expert considered KM as the process of handling unstructured knowledge. The third view was one which combined technical and organizational initiatives to manage structured and unstructured knowledge in order to help the organization improve its effectiveness through improved retention and reuse of knowledge. Three experts expressing three different but acceptable definitions. We realized that we needed to define KM in a way that would provide a common ground for discussion. However, before tackling Knowledge Management we first need to define what we mean by knowledge. Davenport and Prusak (1998, p. 5) view knowledge as an evolving mix of framed experience, values, contextual information and expert insight that provides a framework for evaluating and incorporating new experiences and information. They found that in organizations, knowledge often becomes embedded in documents or repositories and in organizational routines, processes, practices and norms. They add that for knowledge to have value it must include the elements of human context, experience and interpretation. Nonaka (1994) expands this view by stating that knowledge is about meaning in the sense that it is context specific. This implies that users of knowledge must understand and have experience with the context (surrounding conditions and influences) in which the knowledge is generated and used for it to be meaningful. This suggests that for a knowledge repository to be useful it must also store the context in which the knowledge was generated. The suggestion that knowledge is context specific argues against the idea that knowledge can be applied universally. However, this does not argue against the concept of organizational knowledge. This paper considers organizational knowledge to be an integral component of what organizational members remember and use. In other words, that knowledge is actionable. Internalization — the process of converting explicit knowledge to tacit knowledge and is closely related to learning by doing. These four modes or processes show that the transfer of knowledge is dependent upon the transfer of a common context of understanding from the knower to the user of the knowledge. The common context of understanding consists of the context (the story behind the knowledge, the conditions and situations which make the knowledge understandable) and the experience (those activities which produce mental models of how the knowledge should be used). Jennex (2005) defines KM as the practice of selectively applying knowledge from previous experiences of decision-making to current and future decision making activities with the express purpose of improving the organization's effectiveness. He views a KM system as that system which is created to facilitate the capture, storage, retrieval and reuse of knowledge. Our understanding of KM and KM systems is that they holistically combine organizational and technical solutions to achieve the goals of knowledge retention and reuse to ultimately improve organizational and individual decision making. This is also a Churchman (1979) view of KM that allows KM systems to take whatever form necessary to accomplish these goals. For some organizations this may mean that the KM system is essentially a document management system. However, as a community we don't want KM to be thought of as primarily a document management technology. In some organizations, KM may be used to only manage unstructured knowledge. Although this may meet the needs of those particular organizations we do not believe that the KM community is comfortable in accepting that KM only handles unstructured knowledge. Another important definition of KM is suggested by Holsapple and Joshi (2004) who consider KM to be an entity's systematic and deliberate efforts to expand, cultivate and apply available knowledge in ways that add value to the entity (i.e., positive results in accomplishing given objectives or fulfilling a specific purpose). The entity's scope of influence may be individual, organizational, trans -organizational, national, etc. Finally, Alavi and Leidner (2001) in their seminal work concluded that KM involves distinct but interdependent processes of knowledge creation, knowledge storage and retrieval, knowledge transfer and knowledge application. It is important to add that none of these definitions of KM are purely technical in nature. They all include Information System (IS) support but also organizational considerations and have an impact on organizational productivity and effectiveness. Many experts consider KM to be a form of IS and while the IS component is important, for KM to be effective as a change or transformation tool it must include management support and an organizational culture. To better understand KM we need to define the concepts of Organizational Memory (OM) and Organizational Learning (OL). Jennex and Olfman (2002) found that these three concepts are related and have an impact on organizational effectiveness. Organizational effectiveness is measured by how well the organization performs those activities critical to producing what the organization sells. OL is the process the organization uses to learn how to perform these activities better. OL results when users utilize knowledge. That OL may not always produce positive results can be determined by monitoring organizational effectiveness. Effectiveness can improve, get worse or remain the same. How effectiveness changes influences the feedback provided to the organization using the knowledge. KM and OM are the processes used to identify and capture critical knowledge. Knowledge workers and their organizations 'do' KM; they identify key knowledge artifacts for retention and establish processes for capturing the knowledge. OM is what IT support organizations 'do'; they provide the infrastructure and support for storing, searching and retrieving knowledge artifacts. Figure 1 illustrates these relationships and the following sections expand on these concepts. Organizational Learning has been defined as a quantifiable improvement in activities, increased available knowledge for decision-making or sustainable competitive advantage (Easterby-Smith, 1997; Miller, 1996; Cavaleri, 1994; Dodgson, 1993). Malhotra (1996) defines Organizational Learning (OL) as the process of detection and correction of errors. In this view, organizations learn through individuals acting as agents for them. Individual learning activities are seen as being facilitated or inhibited by an ecological system of factors that may be called an organizational learning system. Learning in this perspective is based on Kolb's (1984) model of experiential learning in which individuals learn by doing. Huber, Davenport and King (1998) believe an organization learns if, through its processing of information, its potential behaviors are changed. Huysman, Fischer and Heng (1994) as well as Walsh and Ungson (1991) believe Organizational Learning has OM as a component. In this view, OL is the process by which experience is used to modify current and future actions. Huber (1991) considers four constructs as integrally linked to OL: knowledge acquisition, information distribution, information interpretation and organizational memory. In this case, OM is the repository of knowledge and information acquired by the organization. Organizational Learning uses OM as its knowledge base. A different perspective on OL from Sandoe, et al. (1998) is that organizations do not learn; rather only individuals learn. During work, people gain experience, observe and reflect in making sense of what they are doing. As they analyze these experiences into general abstractions, their perceptions on how work should be done changes. As these individuals influence their co-workers, the "organization" learns and the process is gradually changed. Learning in this perspective is also based on Kolb's (1984) model of experiential learning. Huber, Davenport and King (1998) summarize Organizational Memory (OM) as the set of repositories of information and knowledge that the organization has acquired and retains. Stein and Zwass (1995) define OM as the means by which knowledge from the past is brought to bear on present activities resulting in higher or lower levels of organizational effectiveness. Walsh and Ungson (1991) define OM as stored information from an organization's history that can be brought to bear on present decisions. OM can be viewed as abstract or concrete. It is comprised of unstructured concepts and information that exist in the organization's culture and the minds of its members and it can be partially represented by concrete/physical memory aids such as databases. It is also comprised of structured concepts and information that can be exactly represented by computerized records and files. Sandoe and Olfman (1992) and Morrison (1997) describe these two forms of OM as having two functions, representation and interpretation. Representation presents just the facts (or knowledge or expertise) for a given context or situation. Interpretation promotes adaptation and learning by providing frames of reference, procedures, guidelines, or a means to synthesize past information for application to new situations. Knowledge (as we defined it) and OM are related through experience and learning. We consider knowledge to be a subset of OM and KM processes to be a subset of OM processes. KM is the practice of selectively applying knowledge from previous experiences of decision making to current and future decision making activities with the express purpose of improving the organization's effectiveness. Burstein, F. and Linger, H. (2003). Supporting Post-Fordist Work Practices: A Knowledge Management Framework For Dynamic Intelligent Decision Support. Journal of IT&P special issue on KM, 16(3), 289-305. Cavaleri, S., (1994). Soft Systems Thinking: A Pre-Condition For Organizational Learning. Human Systems Management, 13(4), 259-267. Corral, K., Griffin, J., and Jennex, M.E., (2005). Expert's Perspective: The Potential Of Knowledge Management In Data Warehousing. Business Intelligence Journal, 10(1), 36-40. Dodgson, M., (1993). Organizational Learning: A Review of Some Literatures. Organization Studies, 14(3), 375-394. Easterby-Smith, M., (1997). Disciplines Of Organizational Learning: Contributions And Critiques. Human Relations, 50(9), 1085-1113. Holsapple, C. W., and Joshi, K. (2004). A Formal Knowledge Management Ontology: Conduct, Activities, Resources, And Influences. Journal of the American Society for Information Science and Technology, 55(7), 593-612. Huber, G.P., (1991). Organizational Learning: The Contributing Processes And The Literatures. Organization Science, 2(1), 88-115. Huber, G.P., Davenport, T.H., and King, D., (1998). Some Perspectives On Organizational Memory. Unpublished Working Paper for the Task Force on Organizational Memory, F. Burstein, G. Huber, M. Mandviwalla, J. Morrison, and L. Olfman, (eds.) Presented at the 31st Annual Hawaii International Conference on System Sciences. Hawaii. Huysman, M.H., Fischer, S.J., and Heng, M.S.H. (1994). An Organizational Learning Perspective On Information Systems Planning. Journal of Strategic Information Systems, 3(3), 165-177. 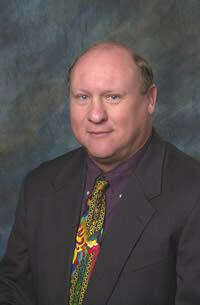 Jennex, M.E., (2005). What Is KM? International Journal of Knowledge Management, 1(4), i-v.
Kolb, D., (1984). Experimental Learning. Prentice-Hall. Lehaney B., Jack G., Clarke S., and Coakes E., (2003). Beyond Knowledge Management. Idea Press. Malhotra, Y., (1996). Organizational Learning And Learning Organizations: An Overview. www.brint.com/papers/orglrng.htm, retrieved May 20, 2005. Miller, D., (1996). A Preliminary Typology Of Organizational Learning: Synthesizing The Literature. Journal of Management, 22(3), 485-505. Morrison, J., (1997). Organizational Memory Information Systems: Characteristics And Development Strategies. Proceedings of the Thirtieth Annual Hawaii International Conference on System Sciences, IEEE Computer Society Press. Nonaka, I. and Takeuchi, H., (1995). The Knowledge-Creating Company — How Japanese Companies Create The Dynamics Of Innovation. Oxford University Press, Oxford. Sandoe, K., Croasdell, D.T., Courtney, J., Paradice, D. Brooks, J. and Olfman, L., (1998). Additional Perspectives On Organizational Memory. Unpublished Working Paper for the Task Force on Organizational Memory, F. Burstein, G. Huber, M. Mandviwalla, J. Morrison, and L. Olfman, (eds.) Presented at the 31st Annual Hawaii International Conference on System Sciences. Hawaii. Walsh, J.P. and Ungson, G.R., (1991). Organizational Memory. Academy of Management Review, 16(1), 57-91. Ward J. and Aurum A., (2004). Knowledge Management In Software Engineering—Describing The Process. Proceedings of the @004 Australian Software Engineering Conference (ASWEC''04).